New Delhi: If you (STILL) haven't seen the 6th episode of Game of Thrones season 7 and know nothing, you should stop reading now. As season 7 of Game of Thrones nears its end, the showmakers gave fans the best of what the show is all about. Episode 6 'Beyond the Wall' was one of the most exciting episodes till date. The episode had everything - a possible feud between Sansa and Arya, a high-on-testosterone fight sequence with the army of the dead, beginning of love between 'Dany' and Jon Snow, and perhaps the most talked about moment of this episode - the Night King claiming one of the dragons. R.I.P! Despite the episode leaking 5 days before its official airing (thanks to HBO's own mistake), the social media obsession didn't die down one bit as both 'Game of Thrones' and 'Night King' trended on Twitter. 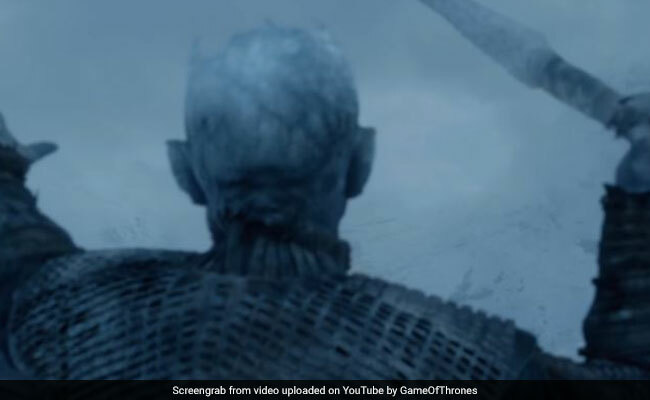 Twitter couldn't stop talking about that insane ice spear throw by the Night King. It was so good that it even got attention from the US Olympic Team. Breaking: Following tonight's episode of #GameOfThrones, the Cleveland Browns offered a multi-year contract to the Night King to play QB. While the episode was packed with action, some things just didn't make any sense. Twitter had lots of pertinent questions that we would like answers to! #GameOfThrones going to tear my heart out and wreck me next week and then disappear for over a year. Is this a tv show or an ex-boyfriend? !